GSC has just posted an apology and correction regarding pre-order date for Nendoroid Hatsune Miku: Mikumix version posted in the latest issue of Shueisha’s Weekly Young Jump magazine, which was published yesterday. 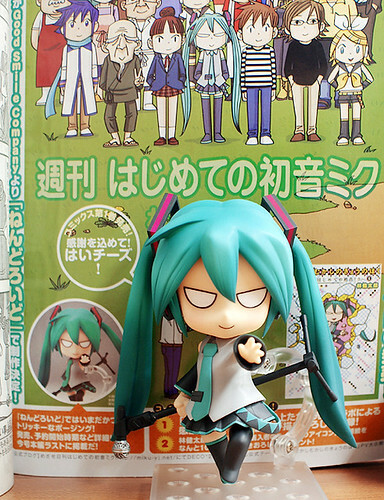 Note: The actual English name for this version of Nendoroid Hatsune Miku is still unknown. It reads “Shūkan hajimete no Hatsune Miku” in Japanese, that literally translates into “Hatsune Miku: First Weekly version“. However, I think that the term “Mikumix” is more frequently used to describe this version of Miku, hence it is used in the posts.